So what do coding and climbing have in common? Well, aside from a good head for heights, reaching the top of the climbing wall involves planning an effective route, much trial and error and adapting your strategy as you go along (and up!). A bit like coding, in fact. To design and implement the code for a computer programme, it takes an understanding of the problem to be solved, finding a sequence of instructions to complete specific tasks, and a whole lot of testing and adapting to reach the final solution. Computational thinking is the term used to describe this way of solving problems and designing strategies and systems; the same concepts that are used in computer science. It can be applied in many different contexts to help children understand the world around them. With the introduction of coding and programming into the curriculum, many schools are understanding the benefits of computational thinking, and its application in a wider context – even in the great outdoors! 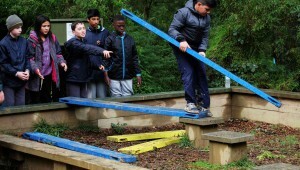 Students on a PGL adventure camp for example, demonstrate computational thinking techniques every day, without even realising it. A Bushcamp at PGL Camp Rumbug, will test their ability to perform a series of tasks, using initiative and resourcefulness as they use the materials provided by the rainforest to cook meals and build shelter. Building a raft to successfully race across the lake at PGL Campaspe Downs will also involve planning, testing and adapting their approach to avoid falling in! 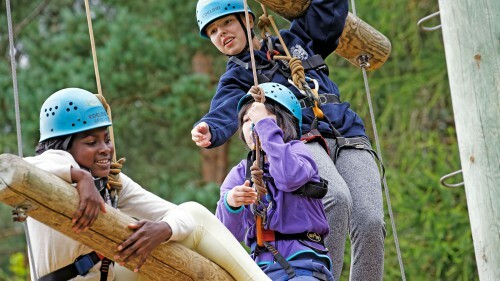 Many of the activities at a PGL activity camp will encourage children to find their own creative solutions to problems, build their confidence, and with trial and error, develop the resilience to not be afraid of failing. So whether children want to navigate a climbing wall with ease or develop a really useful computer programme, using computational thinking in the great outdoors is a great way to develop innovative thinkers, who are better able to understand the world around them and better equipped to succeed inside the classroom and out.